When it comes time to make decisions about resolving your plumbing problems, there are a few concerns that often come to mind. Exactly what kind of services does my situation require? In how timely a manner can these services be completed? Will the completion of these services coincide with my current schedule or the schedule of my family? How much will this all truly cost? With Bob Oates Plumbing, Sewer & Rooter, you can rest easy knowing that these kinds of questions will be addressed by our policies and staff before you even call. We know that in making decisions like this, you may want to know more. The following questions are some of the concerns that you may still have. What kind of services does Bob Oates Plumbing provide? Our team is able to provide the greater Seattle area with sewer and drain cleaning services, sewer and drain repair, sewer and drain inspections, and trenchless and bursting head pipe replacement services. We are also happy to provide installation services for myriad plumbing and drainage system accessories such as sewage access points, sump pumps, septic systems, and many more. Our primary desire is to ensure comprehensive customer satisfaction. A cornerstone of company is the ability to tackle any sewage or drainage issue for a given customer, combining friendly, familial service with big-box efficiency. How do we process payments for our services? We are currently able to accept payment in the form of all major and regional credit and debit cards or a verified personal check. Our payments are processed through a central computer at our corporate office that securely stores any and all data you choose to provide. This data is process, reformatted, censored and reprinted on the final ledger and bill that you will receive after your plumbing service. All expenses incurred on this ledger require approval from a licensed associate as well as you, the customer, to ensure that you pay for no product or service that was not specifically requested. We believe that security of the payment processing segment of our work is paramount, and we are always ready to provide you with the peace of mind necessary to make a decision concerning your drains and sewers. How do our services typically proceed? When you contact Bob Oates Plumbing, one of our expert associates will receive your call and proceed to ask you about your plumbing situation or specific problem. Our associates will take detailed notes throughout your discussion, and will ask for some basic information to open a maintenance ticket. Before a service is scheduled, we can dispatch an associate to perform a free estimate before any expenses are incurred, in the event that your situation is not an emergency. When this is completed, a time and a date will be set for your service, which may require several hours or several minutes depending on the nature of your problem. After a brief examination of your plumbing systems, our technicians will attempt to provide a solution to the issues you discussed with our associates over the phone. A technician will then create a ledger of the expenses incurred from implementing this solution. Finally, this ledger will eventually be reproduced and sent to you in the form of a final bill. Where do we conduct most of their business? 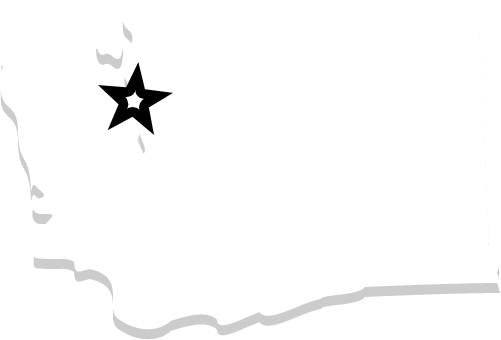 Our team services the greater Seattle area in Washington State. We are able to provide some services within a radius outside of Seattle proper, but the use of some of our heavier equipment is limited to the city itself. Our use of heavy equipment and toolage is typically only used to implement complex and commercial plumbing solutions. We are one of the few licensed sewage and drainage repair firms that have successfully operated within city confines like those found in Seattle. We believe that our 20 years of experience and customer-testified efficacy exemplify Bob Oates Plumbing as the premier drainage and sewage service provider in the Seattle area. If you are in the Seattle area and are seeking drainage and sewage solutions, give us a call! What kind of technology do we use when repairing your pipes? For our plumbing services, we are pleased to offer our customers in the Seattle area access to Nu-Flow technologies. Nu-Flow technology is cutting-edge in terms of sewer and drain repairs. This technology utilizes a cleaning head, an inflatable bladder and a ceramic lining to effectively make your old drains and sewage pipes like new. First, the cleaning head is inserted and activated remotely. The cleaning head will run the length of the pipe, and will be followed by the insertion of the bladder, encased in the ceramic lining. The bladder lines the length that the cleaning head traveled, and inflates with such pressure that the lining is compressed against the walls of the pipes and bonds to them over a period of time. This technology allows for long-term, expensive pipe repairs to be reduced to cheap services with completion times within hours, while retaining the same effectiveness. How will our associates come to understand your situation? When you contact our office, an associate will field your phone call and ask for some basic information concerning you and your plumbing issue. Our associate will take detailed notes into a computerized ledger, which will eventually be handed to one of your expert technicians in order to educate them about your specific situation. By the time the technician arrives, they will have a comprehensive understanding of your situation and the solution that he needs to implement to ensure your personal satisfaction. Our technicians and professional, friendly and open to your questions and concerns regarding your service and sewage/drainage in general. We believe that our technicians are one of the main building blocks of our services, and consequently provide them with the education and training necessary to provide our customers with the quality service they expect. What will happen when a Bob Oates technician arrives at my home? A typical service will begin with the arrival of our expert technician, who will arrive within an allotted time and day established after you first contact us. The technician will ask to enter your home and will examine the problematic symptoms your plumbing has been experiencing. Our technician’s analysis of these symptoms, combined with the information that he received prior to even arriving at your home, will form a basis on which the technician will create a solution. Depending on the severity of your plumbing issue, the technician may need to requisition additional resources from our offices before finally implementing a solution. If possible, our technician will implement the solution within the time allotted for your appointment that day, but if your problem requires the scheduling of additional services, your technician will coordinate with our offices to ensure there is little to no disruption to your schedule. When will a technician typically arrive at your property? A technician will arrive within a brief window of time set at the time that you contact one of our associates. Both our associates and our technicians are highly flexible in terms of their scheduling, and will attempt to make our appointment fit into your schedule with whatever considerations the customer believes necessary. Our initial, cost-free estimate will generally take less time than the full service, though this may vary depending on your specific situation. During the actual service visit, the full diagnostic and repair procedure may take several hours, and we encourage our customers to make arrangements to ensure their comfort in the event of extended obstruction of water, sewage or drainage systems. Bob Oates Plumbing understands that today’s schedules are hectic and that your time is valuable, which is why our associates are willing to plan as specific as your schedule demands. What non-plumbing services are provided by our company? In terms of non-plumbing services, we are pleased to offer repair and cleaning services for residential and commercial toilets, faucets, taps and garbage disposals. Depending on your specific situation, our technicians will be able to help with the installation of water mains and water heaters, as well as the removal of invasive tree roots from sewer and drainage pipes. Our company and team believe that fulfilling the widest range of our customer’s potential issues is the key to success in the sewage/drainage industry. Our expert technicians are trained and experienced in implementing solutions to the widest variety of problems that our customers are presented with. How do I know if I am within the service area for Bob Oates Plumbing? When making arrangements with professional sewage and drainage repair services, it is often helpful to know whether or not your home or place of business is within a serviceable area for the firm in question. Our team always makes it very easy to determine where are you are within the areas that we provide services. Any customer seeking to commission services can visit our website and click on the “Service Areas” icon. The customer may then enter their respective residential address or commercial location and determine whether or not they lie within a serviceable area. It is the firm belief of Bob Oates Plumbing that peripheral services like our Service Area GPS Map exemplify the quality of our work. When you commission our services, you can rest assured that all facets of our business are testaments to our consistent insistence that the customer always comes first. How can you contact our team? How you choose to contact us depends on the severity of your particular plumbing problem. In the event that the problem is minute, such as a minor leak or clog, you can visit our website and fill out our contact form. The form will require non-invasive contact information and some description of the issue you are experiencing. In the event that the problem is an emergency, our services can be dispatched immediately by contacting either our south side or north side offices at the number found on our website. In either case, one of our expert representatives will contact you shortly afterwards to confirm your contact details and discuss how you would like to proceed further. At Bob Oates Plumbing, we believe that quick communication is the key to implementing effective sewage and drainage solutions. Plumbing issues, in the home or the workplace, can be difficult, messy and expensive. Whatever issues your commercial or residential plumbing may be experiencing, Bob Oates is ready and able to help. Our staff are educated and experienced to most effectively assist you with your sewage and drainage needs. For over 20 years, we have been providing sewage and drainage solutions to the greater Seattle area. Our wide variety of available services, economic price point and professional efficiency are all cornerstones of a service that provides complete and total customer satisfaction. When you need plumbing repairs, it can often be difficult to predict every outcome. Potential expenses, disruptions to family life and time commitments are all variables that need to be considered when making a decision about your commercial or residential plumbing systems. We hope that these questions and answers in some capacity clarified these often opaque topics. Whether your home or business requires plumbing repairs or just needs a bit of regular maintenance, think of Bob Oates Plumbing. We are able to provide each and every one of our customers with cost-free estimates, efficient and economical services, and a friendly, familial smiles that says “the customer comes first”. Give our team of informative and friendly office associates a call today to discuss what services are best for you and your property.